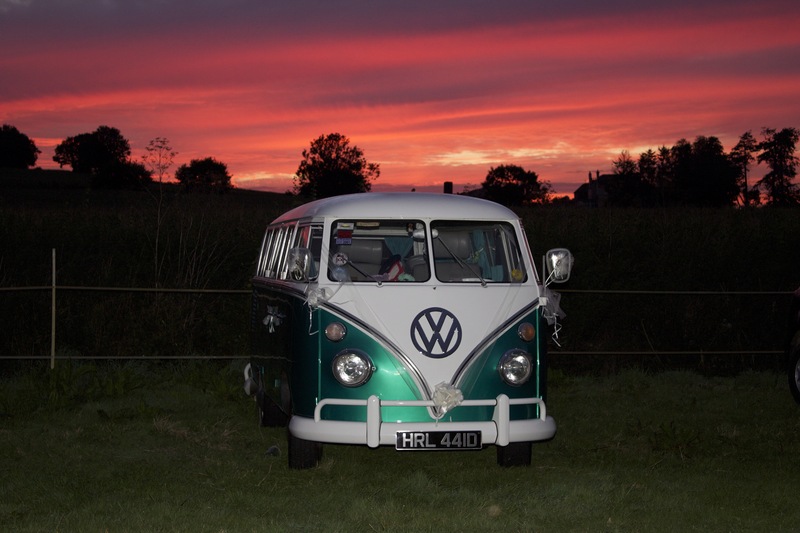 An original 1966 split screen VW Camper. This is the California dream machine, cruising down the west coast with the surfboard in the back living the dream. 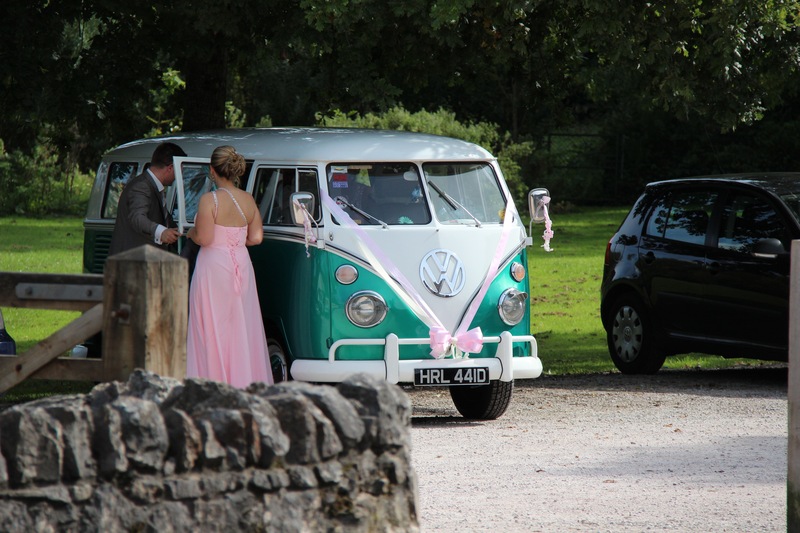 To hire this split screen camper for a weekend Summer wedding the cost for the day is just £350 dropping to £250 for a week day wedding in the winter. 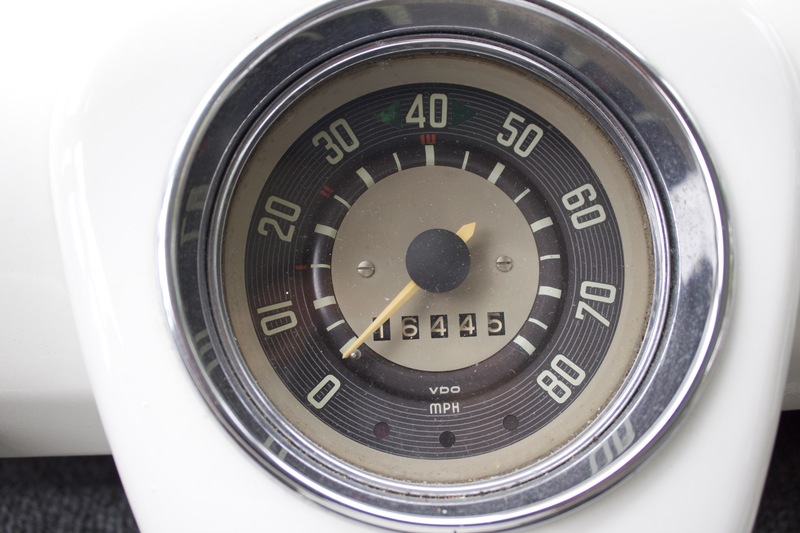 Built in 1966 this left hand drive Split screen T1 lived for the first 31 years in the bright Sunshine State of California USA and was originally a deluxe Micro Bus. 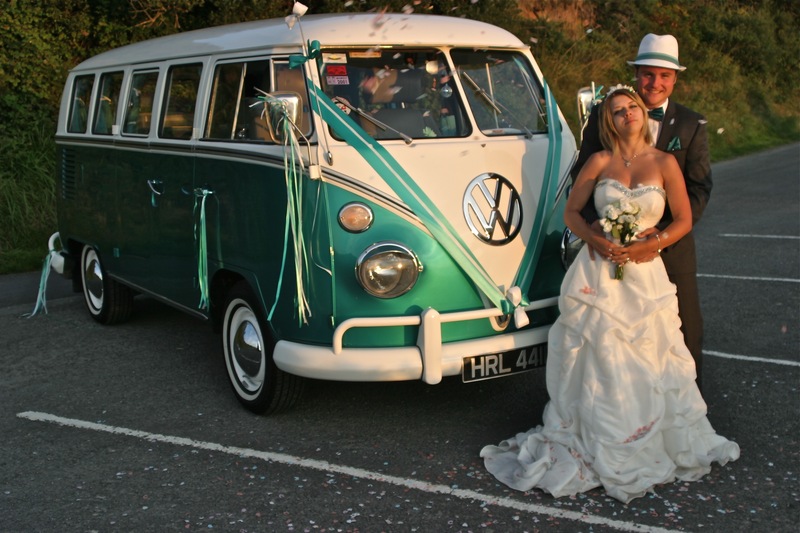 In 1997 an English gent called Simon was living the dream travelling around California surfing when he came across the Splitty, affectionately called Hurley, being repaired in a VW specialist garage, he bought it and spent the next four months living in it going from beach to beach along the West Coast of America with his wife. At the end of the summer when he returned to the UK, Hurley came with them. 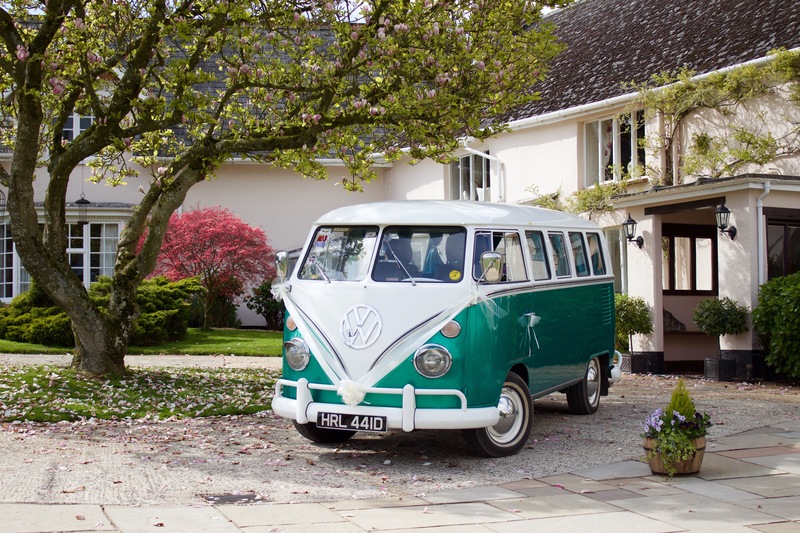 After a couple of years in the UK Hurley was bought by the present owner as his first car at the age of 17. 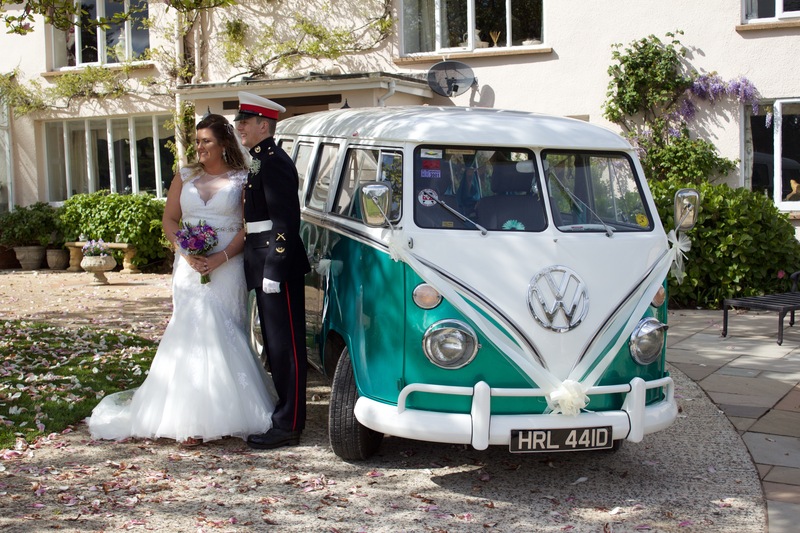 Never to be sold, Hurley is now part of the family and was used by the present owner for his own wedding. To view any photo in a larger format please click on the individual photo. 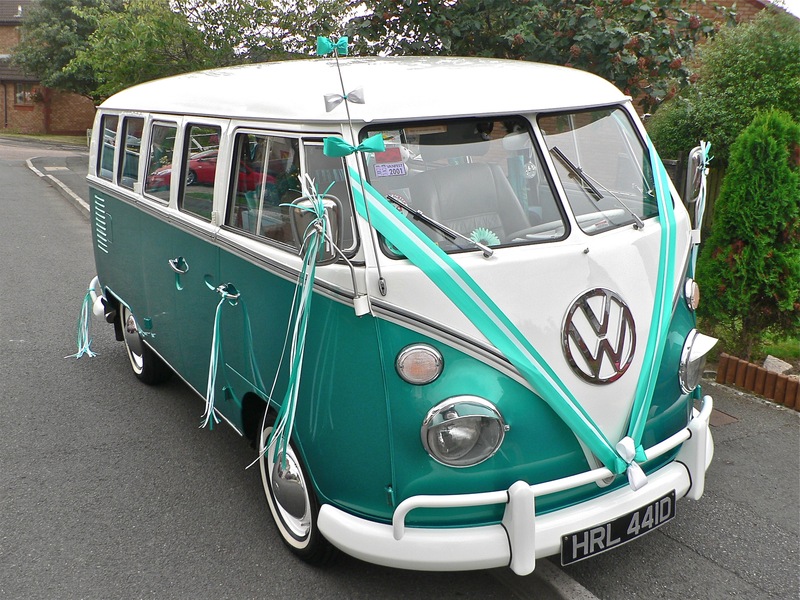 Hurley has been completely resprayed and during this process of taking her back to a rust free bare metal shell it was found she had undergone several colours of paint. Starting with the original Pea green and a white top through all shades of green to British racing green. Now Hurley sports a metallic green lower section with a white top. The paint work is superb and the interior has been completely refurbished by the family. Mum did all the upholstery and Dad the carpentry to produce a superb interior finish. A real show winner. The engine was completely rebuilt in 1997 whilst in the USA and these 1500cc air cooled boxer engines just keep going as long as they are maintained correctly which this one is. 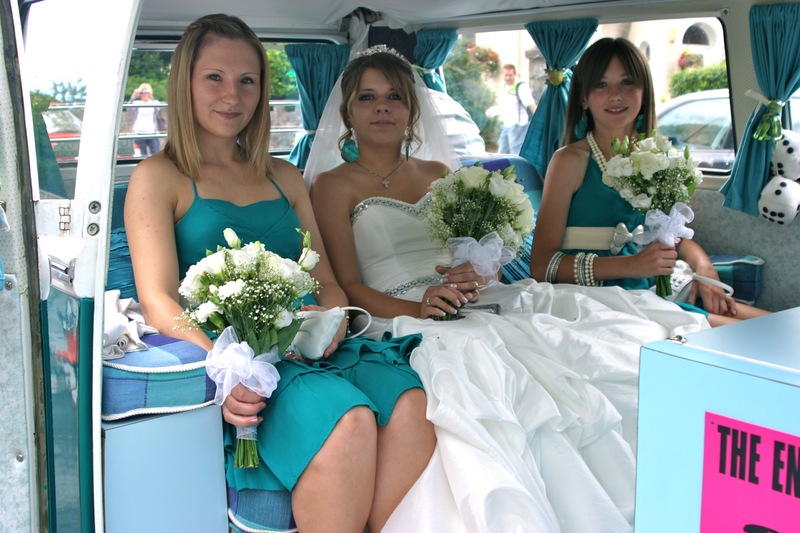 Please contact us on 07900067694 for full details about booking this car for your special day.